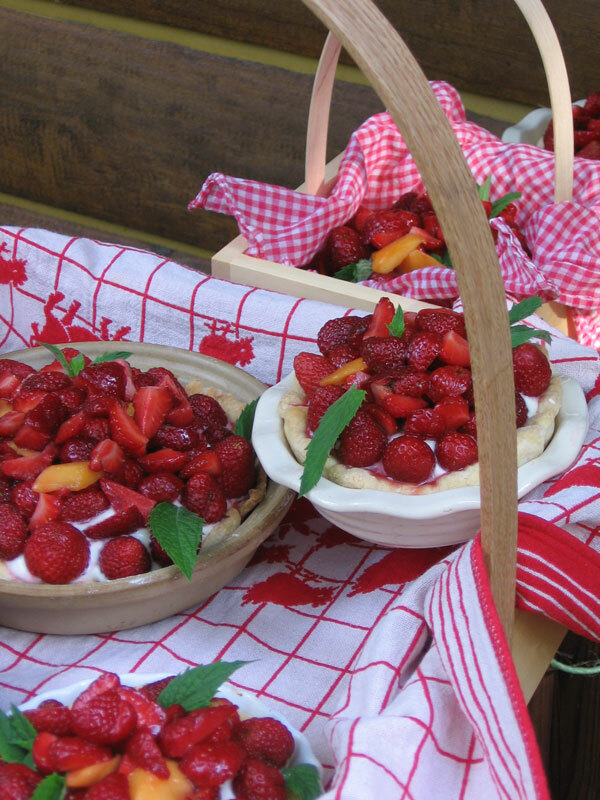 I love the idea of strawberry pie. 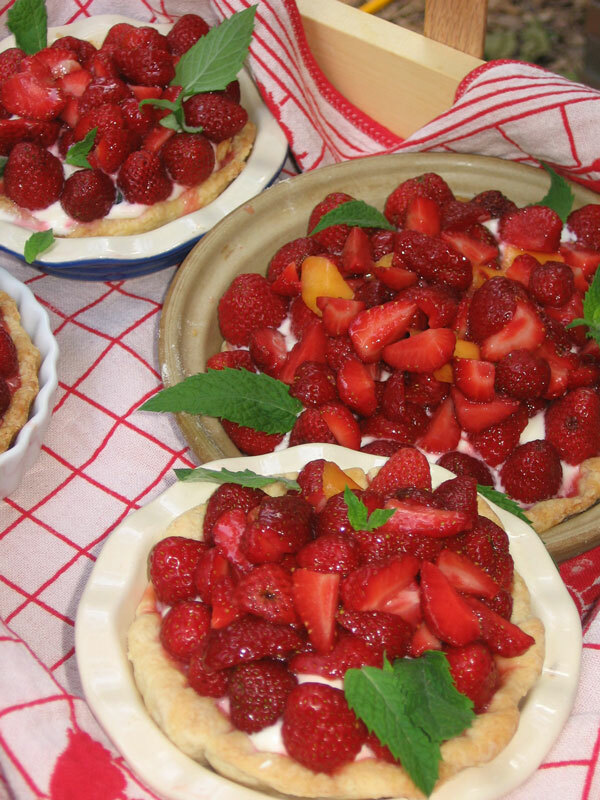 Fresh fruit, cream, and a buttery crust are all I need to be happy (for a few moments anyways). Oh, and maybe a sprig or two of mint, too. Last night I got home with more strawberries than I knew what to do with. Well, not really, but there were a lot. Before bed, I mixed up a batch of pie dough. 1 1/2 cups flour, 1 stick butter, and a bit of ice water. I put the dough in the fridge over night, and this morning I rolled it out, pricked it, and popped it into the oven. I left the pie crusts on the counter to cool and ran off to work. 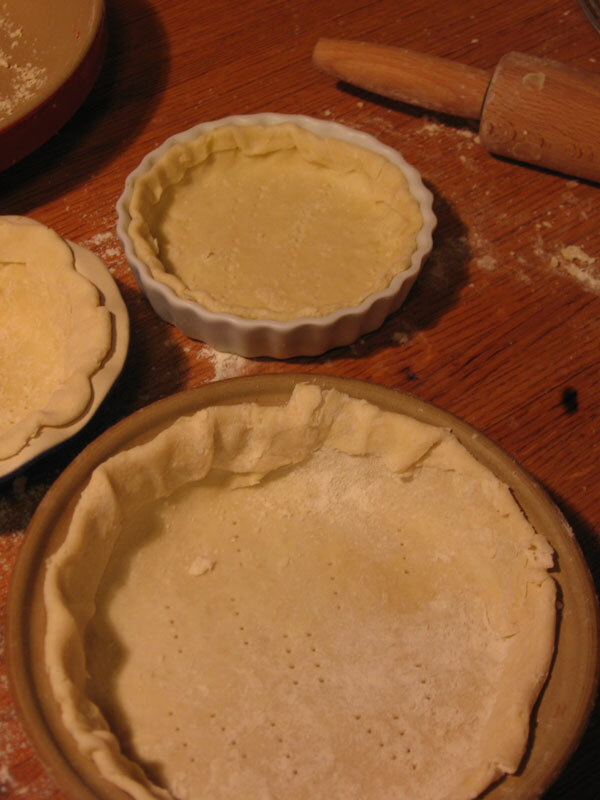 This afternoon, I came home and filled the pie shells with a whipped cream and yogurt mixture. 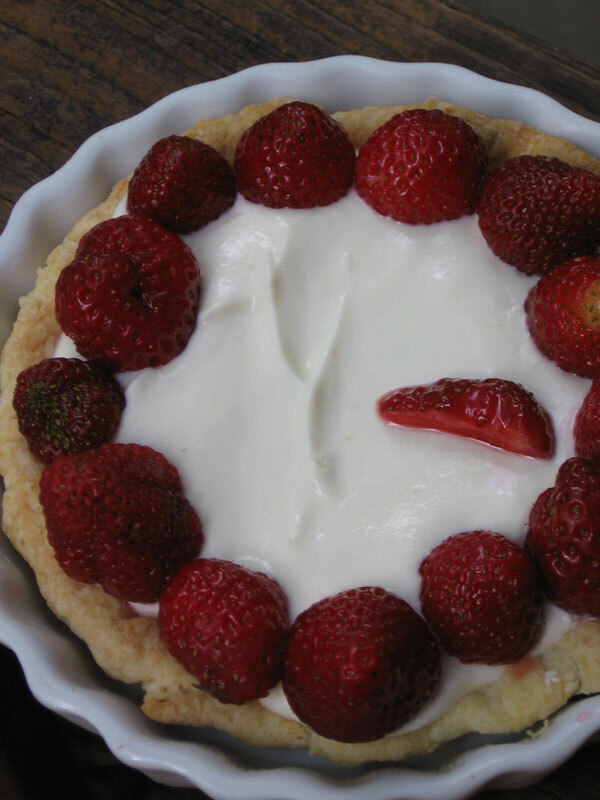 It is one of my new favorites: very simple, fresh, and delicious. 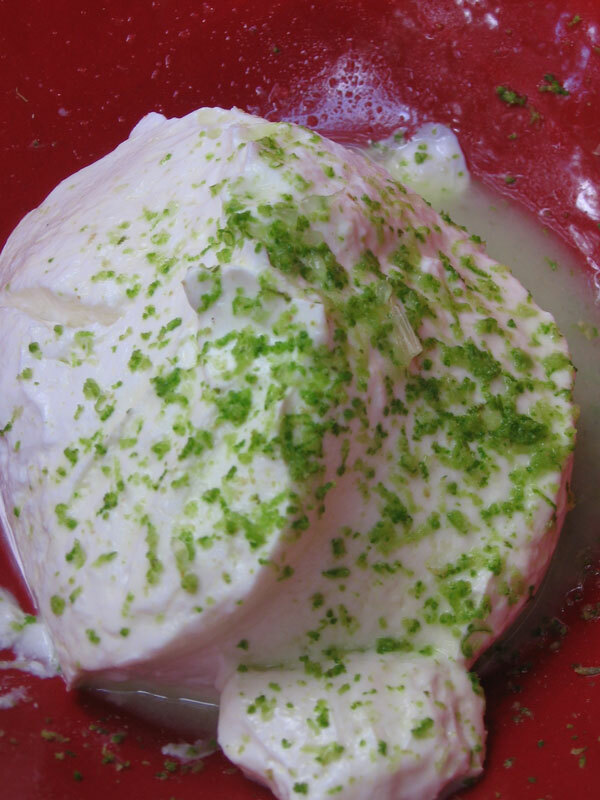 I used greek style hung yogurt mixed with sugar, lime zest and lime juice, and vanilla. To this mixture I added the whipped cream. On top of the pies I added strawberries (whole around the edges, and sliced with sugar in the middle. I threw in a mango as well here. To garnish the pies I picked some mint from the garden. All 6 assorted mini pies made it safely into town in my pie baskets. oh man…I tried to find you last night to give you one…next time I won’t give up.